Score high on the fashion meter by wearing this A-line kurta and palazzo set brought to you by Varanga. 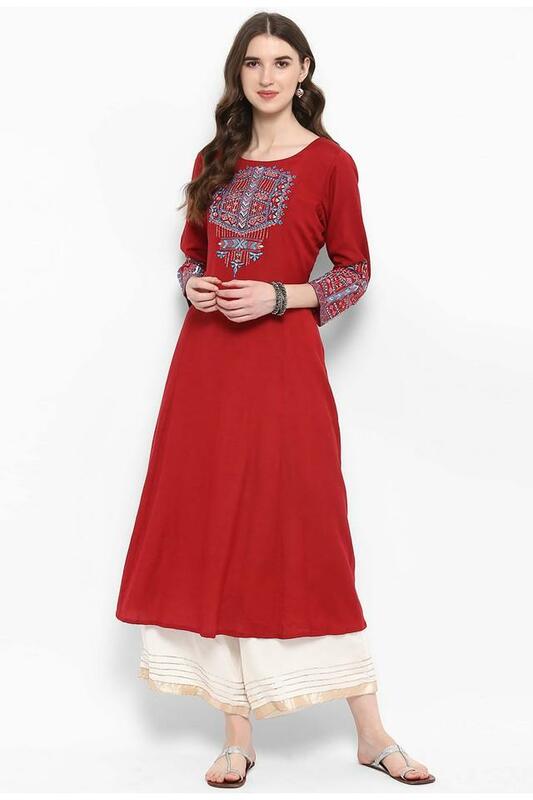 It has been crafted from a cotton blend fabric, which makes it east maintain. 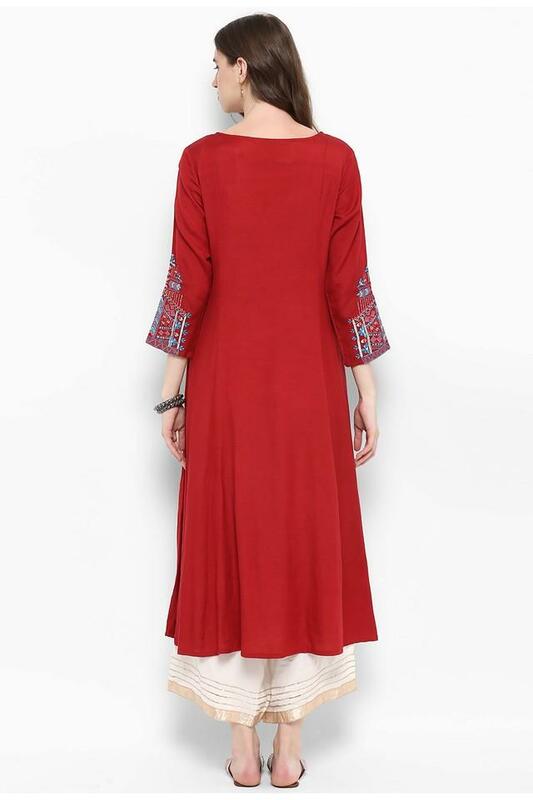 Moreover, it features a round neck, embroidered pattern that enhances its appeal. It also comes with three quarter sleeves that add to its design. Elevate your stylish collection with this kurta and palazzo set. Make heads turn by teaming this set with a pair of stilettos.